Primo Pet Services offers pet sitting in your own home 365 days a year. This service is suitable for any small pets from dogs to degus. The sooner you book, the lower the fee! No deposit required and no cancellation fee. Book now for £15 per visit. *prices will slowly increase the later you book so book now!!! Visits last up to 25minutes. You can have up to 2 visits a day. Dog Boarding in our home available at a different rate. Owners must provide all food, cleaning equipment, bedding and essentials their pet requires. During poor weather conditions, Primo Pet services will make every effort to reach all animals and will also take measures to protect vulnerable pets (taking outdoor animals inside, adjusting thermostats). Owners are encouraged to insure their pets although it is not essential. Should an animal become unwell while in our care, Primo Pet services will assess the situation to determine the best course of action. Primo Pet Services will try to contact the owner should there be any issues regarding an animals health prior to taking them to the nearest vet. Primo Pet Services are not responsible for any expenses regarding veterinary care for clients animals. There is currently no minimum cancellation policy as we understand holiday plans can change unexpectedly. Visits are reserved, without a deposit being required. Aggressive dogs are not suitable for this service. Payments must be made in cash in full by the start of the first pet visit. Should you need to extend the days of care cover, you will be charged at the same rate. Keys will be returned to owners once they return back home (or to a designated neighbour), they will not be posted through letterboxes to ensure owners are not delayed returning to their pets by poor weather. Christmas cat care Enfield. Christmas cat care Chingford. Christmas cat care Waltham abbey. Christmas cat care north London. Christmas cat care oakwood. Christmas cat care southgate. Christmas cat care winchmore hill. Christmas cat care enfield lock. Christmas cat care service. Holiday cat care services. 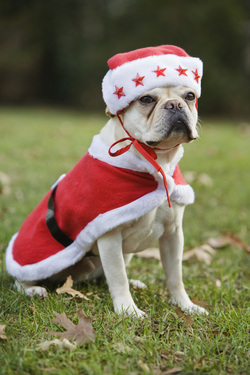 Dog Christmas care. rabbit Christmas care. north London. Chingford. enfield. Waltham abbey. southgate. oakwood. chase side. sewardstone road. southgate road.